Until recently, the concept of “brand” or “brand building” has not been too important for physician practices, medical groups or hospitals. Only a few healthcare entities took branding seriously in their marketing plans…and fewer still were able to carry it off effectively. Almost overnight, or so it seems, all that changed. To listen to some people in the industry, you might think that hot-topic-brand/branding IS the entire plan. It’s not, of course, but the dynamic reinvention of the healthcare service sector, and the concurrent explosion of competition, has jet-propelled the branding bandwagon. It seems like everyone’s doing it. They dive in to make a splash, but too often, their quick branding effort comes up dry. There’s a lot of motion, but not much traction or meaningful measure of success. Building an effective brand in today’s complicated healthcare environment is a complex, multi-faceted and long-term endeavor. The objective is to be top-of-mind, consistently presenting the public, patients, referring doctors and others with a unique and memorable reason to choose you over the competition. Admittedly, it’s challenging to get it right. It’s a big challenge, with tons of moving parts and an equal number of pitfalls and roadblocks to success. Developing and communicating the How and Why you’re different usually demands experienced help. But in our experience, there are only a few mission-critical reasons that healthcare branding falls on its face. Bland is not a brand. Many well-intended branding messages are ineffective because they fail to differentiate significantly…or at all. As one example, the word “care” (as in care delivery and/or caring) is commonly bundled around or into a brand message without much more. There’s something “nice” about vanilla ice cream, but vanilla is vanilla is vanilla. Budget neglect. A quick way to assure a brand backfire is to shortchange the required underwriting. Recognize that your commitment to an effective branding effort includes a commitment to provide sufficient resources. Plan for full and sustained support and be “all in” before you begin. Expect to be in it for the long term. 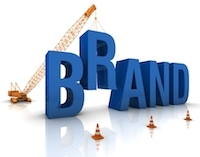 You need a five-year plan, and long-view timeframe, to successfully build a brand. Other elements in your marketing and advertising plan, such as direct response for example, have a short fuse and can bring new patients through the door in a relatively brief amount of time. But a comprehensive branding effort is not “done” at the time it launches—that’s just the beginning. Consider this: The best-known commercial brands in the US, such as McDonalds (founded 1940), Apple (founded 1976), AT&T (founded 1983), or Coca-Cola (founded 1892), have no recognized business rivals that were launched last week. It just doesn’t happen overnight. The very nature of branding requires time and a sustained effort to win a place in the mind of the target audience. Clients sometimes mistakenly expect to see quick results, but anything less than a five-year expectation is simply not a healthy perspective. If you’re uncertain about the future course for your brand—differentiation/distinction, budgeting for sustained support, shaping timeline expectations, or other challenges—please reach out to us. We can talk about a consultative review or market testing that will help you avoid these and other problems.